Located on the West side of Ocean Blvd in Delray Beach, walk across A1A to the beach! 2 blocks North of Atlantic avenue. 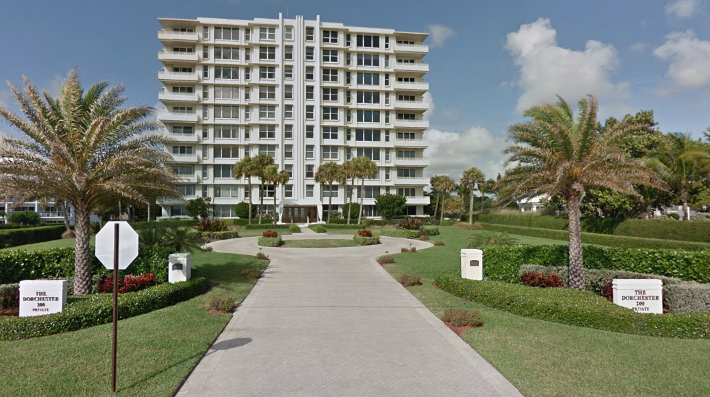 The Dorchester condominium is a one-of-a-kind building in Delray Beach. It is the only apartment building with direct ocean views that is higher than four stories. A Delray 'icon'. The Dorchester has ten floors with two apartments on each. Just steps to the galleries, shops and fine dining of Delray beach, and a short scenic drive to Palm Beach. Never miss the opportunity to buy a Dorchester condo for sale again! Register with us today to get the tailored listing information sent directly to you. If you’d still like to learn more about this community, read more here. The Dorchester offers a beautiful heated pool with cabana and parking garage. Contact us today to learn more about Dorchester condos. We can help to answer questions, arrange viewings and more!